BBC News gathers and produces national daily news, business, political and current affairs programmes on BBC television and radio. It is also responsible for the continuous news channels BBC News 24, BBC Parliament, BBC World, interactive services, Ceefax and the web site BBC News Online. BBC News is the largest broadcast news operation in the world with more than 2,000 journalists and 48 newsgathering bureaux, 41 of which are overseas. Last year BBC News reported from more than 150 countries and produced more than 45,000 hours of programming - that works out at an average of 120 hours of news broadcasting for every day of the year. BBC News is also a global news provider reaching more than 260 million viewers through the international TV news channel BBC World and more than 150 million listeners via BBC World Service. These services are not funded by the licence fee but by grants for the World Service and commercial income for BBC World. 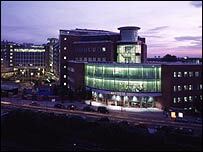 The bulk of programming comes from the news centre in Television Centre, West London - the largest such operation in the world. Political programming, including the BBC Parliament channel, is based in the heart of Westminster at Millbank while international radio programming comes from the home of World Service - Bush House in central London. BBC News does not produce the BBC's UK regional news programmes and services but works very closely with BBC Nations and Regions across all media to ensure that we reflect the diverse picture of life in communities throughout the UK. Alongside journalists, BBC News employs 700 people in the Resources department, providing a comprehensive range of dedicated location, editing, graphics and studio facilities, and operational staff for BBC News, including IT and engineering services. All our journalism strives to be impartial, fair and accurate. Our strength is in the depth of knowledge in our journalism, the quality of analysis and range of subjects, original first hand reporting and investigations from around the world. Michael Buerk's harrowing new evidence of the extent of Aids in southern Africa led the BBC One Ten O'Clock bulletin and was an example of setting our own agenda. James Westhead's investigation into internet chat rooms for the Six O'Clock News identified a potential abductor. True Spies, Licence to Murder, Horse Racing Corruption (which won the programme team Royal Television Society award) and the Secrets of Seroxat, were strong, original current affairs programmes. BBC News is respected both in the UK and around the world for the strength of its journalism and impartiality. Since the first radio news bulletins almost 80 years ago, BBC News has become the first place people turn to during big news events. 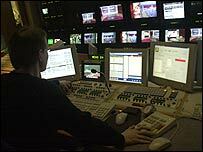 According to an ICM poll, 93% of the UK population turned to BBC television, radio, text or online during the first two weeks of the war in Iraq. In the first week of the conflict, BBC News 24 was seen by 70% of the population - 40 million people. Traffic to BBC News Online increased massively with one week in March seeing a record 140 million page impressions - a typical weekly figure would be 45 million. One of BBC News' aims over the past year has been to revitalise the coverage of politics in the UK. We now have a range of new look programmes that are helping to make politics more accessible. Our current affairs output has added to the nation's understanding of critical issues. 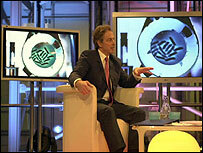 We've produced themed days on BBC One about topics including the NHS, crime and Iraq. All UK BBC News channels took part plus national and local radio services, digital and interactive TV, online, World Service and CBBC. Each event day reached over 20 million viewers and gained some of the highest peak audiences for current affairs.